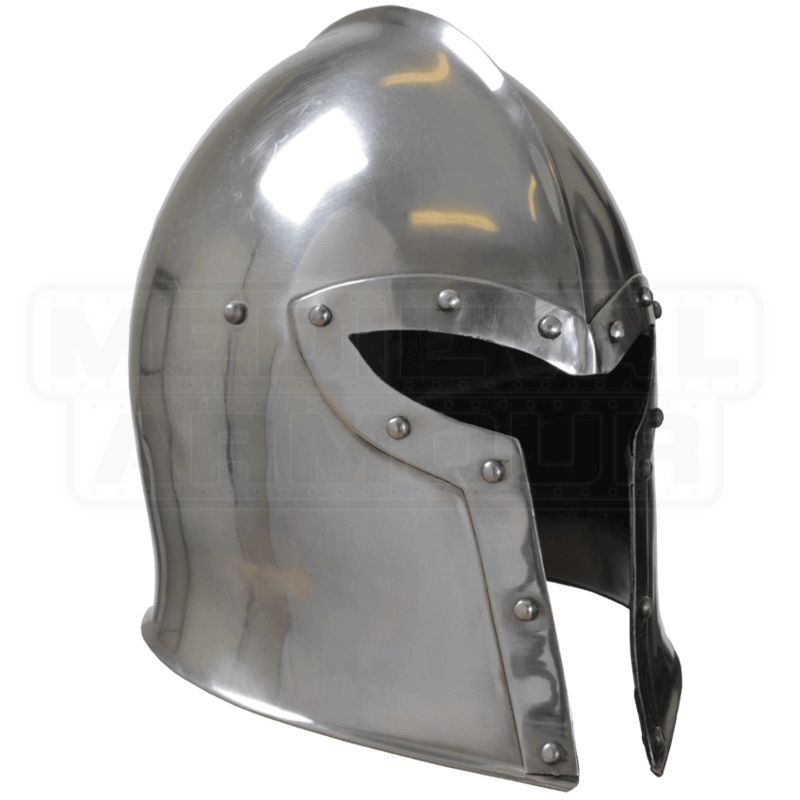 If you are a warrior who wants protection first and looks second, then perhaps this Steel Barbuta Helmet is just what you are looking for. Modeled after the Italian barbute helmets of the Middle Ages, this helm is rather simple, yet strikingly effective. It was the Italians who first crafted the barbuta, and this recreation echoes the classic look of their historic designs. The helmet consists of full-metal protection for the head, including a subtle, small ridge along the top of the helm. This barbuta has a Y-shaped opening at the front that leaves the wearers face open, allowing for clear vision. This helmet is crafted entirely from steel. The interior of the helmet features a liner, both for comfort and for small adjustments to size. 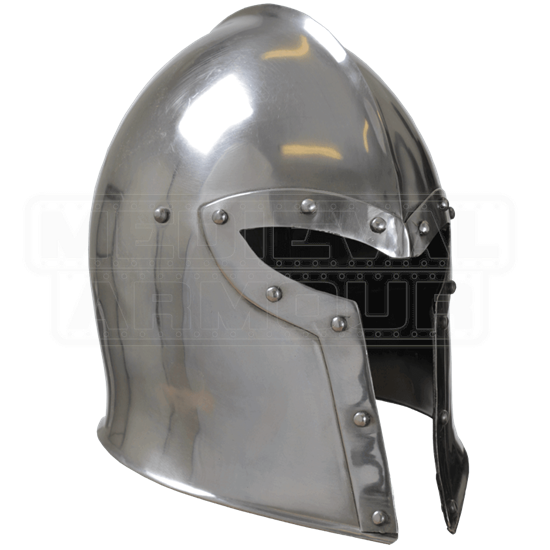 It is a full-size replica helmet that is fully wearable, and when worn, it will stand up rather well to the rigors and impacts experienced during the course of LARP combat and light reenactment. It is available in two sizes, either medium or large. It may not be the fanciest helmet a warrior can wear, but with the level of protection it provides, the trade-off of looks to function is one any warrior is sure to make. Medium: Fits a 23 to 26 Inch Head Circumference. Helmet Opening is 6 Inches Across and 5 Inches Tall. Eye openings are 0.875 Inch Tall. Opening at mouth is 1 Inch Wide. Large: Fits a 24 to 28 Inch Head Circumference. Helmet opening is 6 Inches Across and 6 Inches Tall. Eye openings are 1 Inch Tall. Opening at mouth is 1.25 Inches Wide. I have a 24 inch circumference head, and with an additional inch of padding the large fits perfectly. Great ventilation, visibility and protection. Feels rock solid on my head with great chin strap.